For centuries paper mache has been used as a medium to produce gorgeous works of art. Beautiful, intricate, and light weight sculptures, masks, and dolls can be created using paper mache representing many different artistic styles. It is such a versatile medium and I always enjoyed working with paper mache. 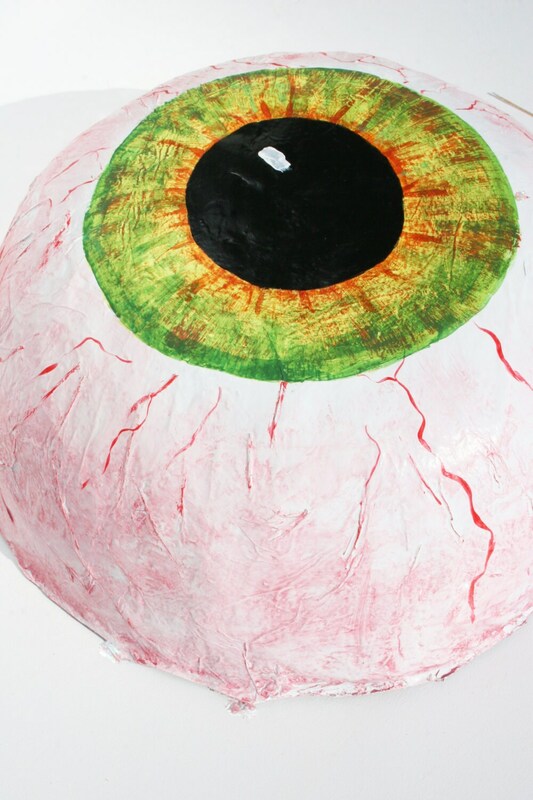 When someone mentioned the idea of Halloween decor using eyeballs I became a bit obsessed. It was different and original and fun. Even though eyeballs have become trendy recently, the design I had floating around in my head seemed fresh and new. The one obstacle I faced... how to make my vision a reality. After a few sketches I sat down to view my handy work. I kept thinking how awesome they would look if they were three dimensional and not simply sketched on paper. My mind latched on to the word paper and suddenly my obstacle no longer existed. The answer... paper mache! Imagine walking into a room where several eyeballs appear to be sprouting from the very walls! Hang it on the front door as a wreath substitution. Add it to your existing Halloween decor so you have something fresh and different. After pulling out my notes and materials I decided to use the tissue paper ans the paper base. I knew it would lend depth with it's the wrinkles and crinkles. 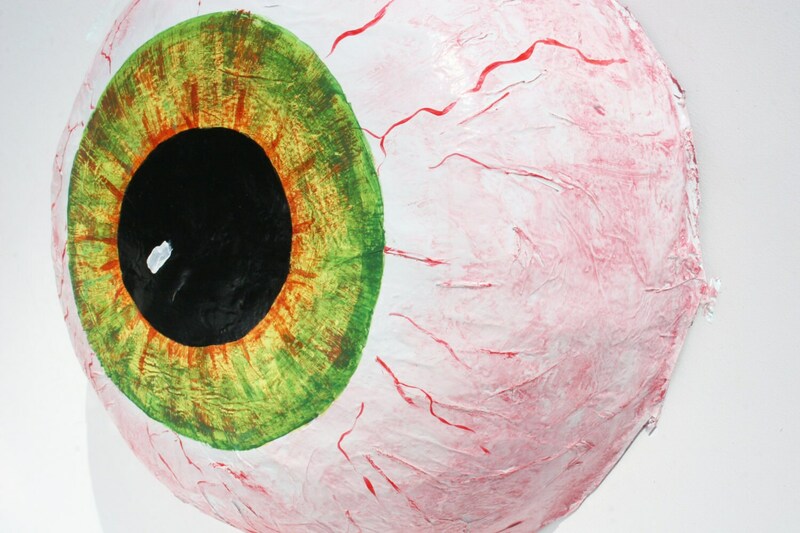 After several layers of tissue paper placed on a positive mold measuring 14 inches in diameter and 8 inches tall, I finally had the skeleton of an eyeball. 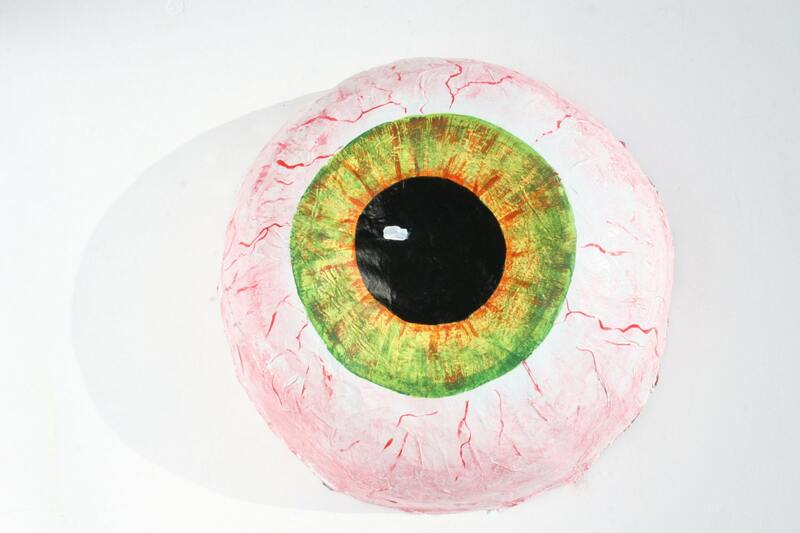 Once dried used acrylic paint form the pupil, iris, and blood vessels. The entire eye is sealed to protect against the weather. 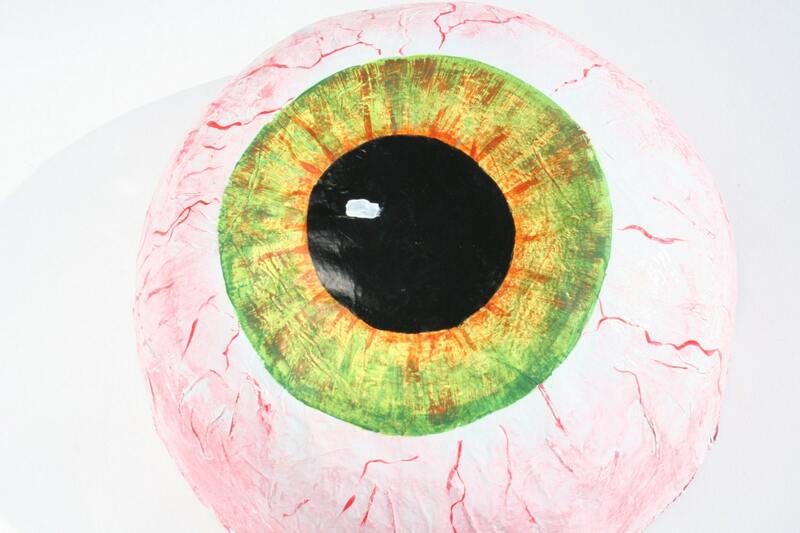 The paper mache eyeballs are completely customizable. The item pictured is my rendition of wasted so I named it "Wasted". "Wasted" is a highly bloodshot eye with lots of reds and pinks on the white section. The iris can be whatever color you choose. 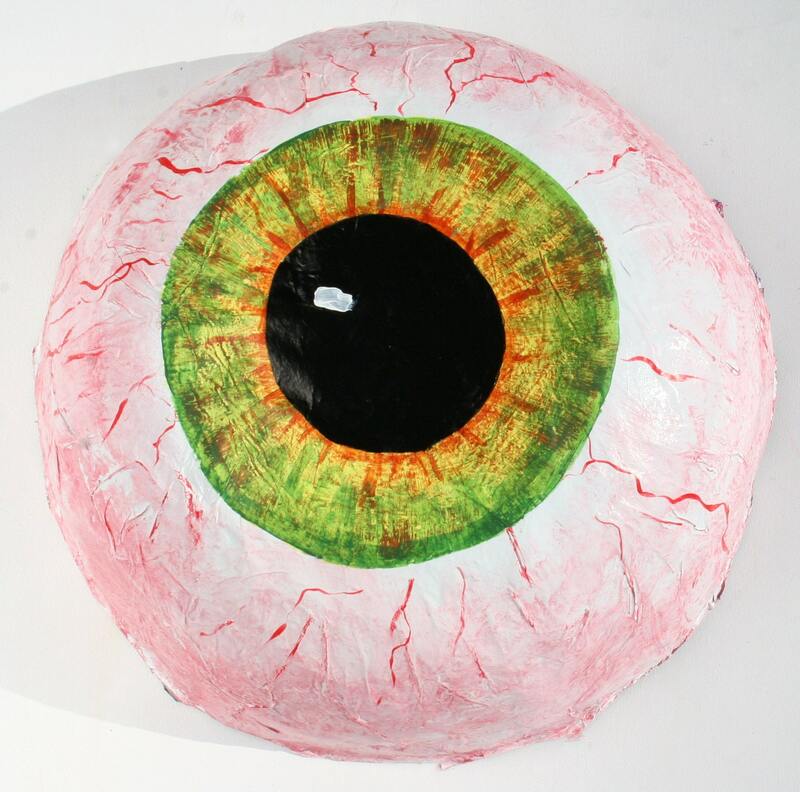 I can also make the eyeball with or without lids and even with eye lashes. The eyeballs have been treated so they are weather proof but it is still a good idea to bring them inside during rain or storms.